It's started already. The summer reading list is coming together. Neither book is in my usual comfort zone, but each is especially compelling. First up, Josef Ferri's Trying to Catch the Wind. December of last year, I started working at a West Side school and ran into Mr. Ferri teaching at our school. His autobiographical story launches right in the middle of Buffalo's Westside, in the height of the 60's. Mr. Ferri's work is an atypical love story with humble beginnings and is driven across the county during one of the most tumultuous eras in American history. Mr. Ferri advises: "If people open their hearts, a new love is possible." Having spend weeks in his graceful presence, I know that he lives these words, daily. It's more than a quote, they are words he lives by. My second choice was selected in that open heart and mind advice. 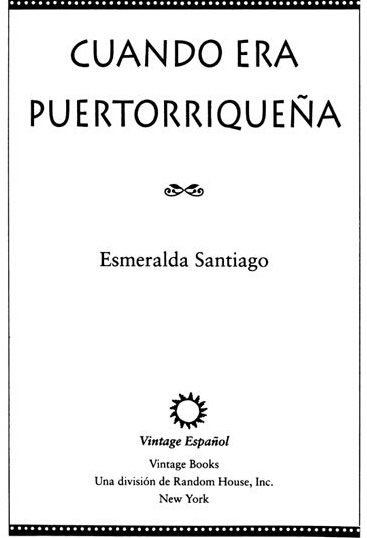 Esmeralda Santiago's Cuando Era Puertorriqueña is another autobiographical story of change and tension. 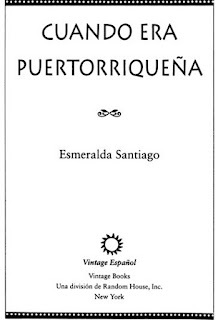 Again, we are taken back to the 1960's, this time lead by a young Puerto Rican woman and her family transplanted from the island to New York City. I could have purchased this item in English, but I wanted to share the love of reading and literature with students at my school. The text and language is crisp and the learning experience is wonderful. I may struggle at times, but so far it has been well worth the difficulty.